There are so many people around the world that would love to have their own radio station! Nowadays, it has gotten easier to make one! Online radio stations give us the ability to share music, our interests, and thoughts to people around the world. 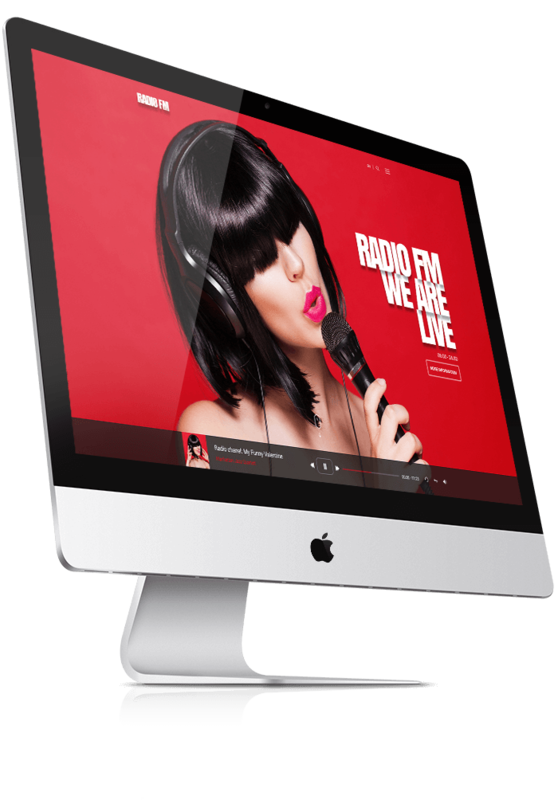 We would like to introduce our brand new WordPress Radio and Sound Recording theme. This template has gotten into the list of our premium WordPress themes because it has a unique and beautiful design. Our store has a Bootstrap version of this theme as well, which has its own perks, however, if you are a newbie in web development, then we would recommend WordPress as it’s easier to manage. The premium template comes with 2 kinds of themes inside of it. One is made for radio stations and the second one is for sound recording studios. We understand how important music got for people and the number of artists is growing as well, therefore demand for sound recording studios is rising. Please go to the demo page, to see more of how our WordPress theme looks like. 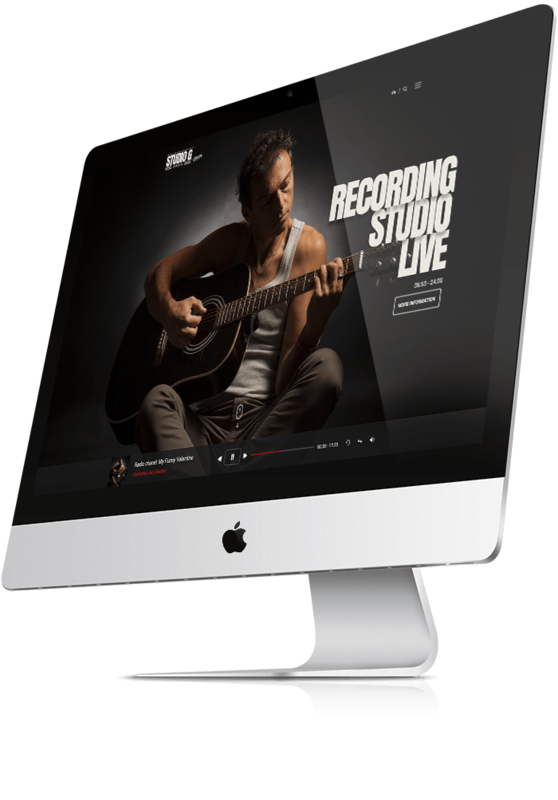 Radio FM & Sound Recording Studio template is responsive as well, which means that the template will look amazing on any kind of device, whether it is a tablet, phone or PC. It comes with very detailed documentation that takes you to step-by-step through the process of customizing it. There is also one more interesting article, that might interest you if you decided to buy this theme - All About real radio station and online radio station. Our team thought very carefully about which pages would be useful for each online radio stations and sound recording studios and brought together all of the bright ideas. However, we are going to be updating the theme from time to time and anyone who has bought it will be receiving an email notification and a link to get the update for free. If you have any questions or concerns, please contact us in the comments section above or by email and we will reach out to you as soon as possible and try our best to resolve your problem or concern. NOTE: TEMPLATE PACKAGE DO NOT INCLUDE WORKING RADIO STREAM PLAYER (PLUGIN), IT IS FOR PREVIEW PURPOSE ONLY. IF YOU WOULD LIKE TO USE RADIO STREAM PLUGIN PLEASE CONTACT US. Hello! How can I change the text color in the RADIO STREAM plugin? On the other hand, my streaming provider could not change the title and image in the plugin, could you help us with that please? Hello! When I try to change the logo as they explain in the video, these options do not appear: "use this image logo in header" and "use this image logo in menu". Could you help me change it, please? I have sent the mail. Hello, how can I edit the image and the text that appears in the streaming player in the Radio Stream plugin? When I try to change the logo as they explain in the video, these options do not appear: "use this image logo in header" and "use this image logo in menu". 342/5000 Due to a problem, I had to download the easy installation file again and the arrangement you made to see the logo in the header and in the menu was erased. Please, pass an E Mail if you can fix me again this error that does not allow me to show the logo in the header and in the menu. Thank you George ... Walter Maidana. Hi, where can I buy the Radio Stream plug-in for this template? Hello! I made the payment for the Radio Stream plugin, but I can not see your answer after my payment, could you send the download file to my mailbox cabinmradio@gmail.com? or how can I access the plugin?